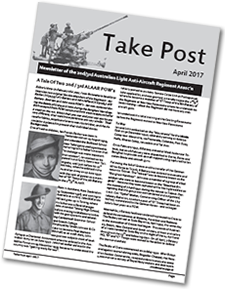 Since 1988, the 2/3 ALAARA has produced an annual newsletter, Take Post. 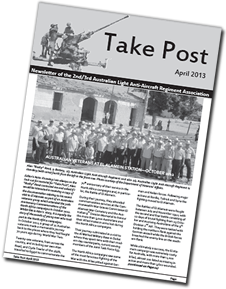 Take Post is circulated to all members and is also available to download from this website. 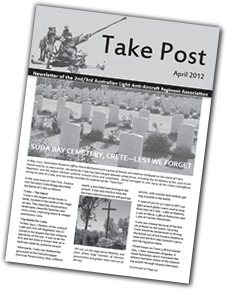 We will also be making individual articles from past issues of Take Post available from the site. 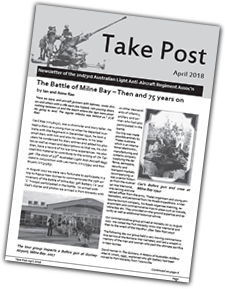 The entire archive of Take Post issues dating back to 1988 can be found here or you can download the latest issue by clicking the link below. 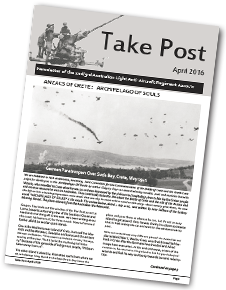 To download the most recent Take Post issues, please click on one of the edition images below.